Welcome to the Beautiful Bali Jungle! What do you want in a school? When you step onto a school campus, what do you want to see, hear, experience and feel? Imagine this, a school without walls, a campus which ignites the senses and the natural curiosity of children, a place where innovation, creativity and learning flourish, a community, which has come together from all corners of the globe to share new experiences, a place of joy. 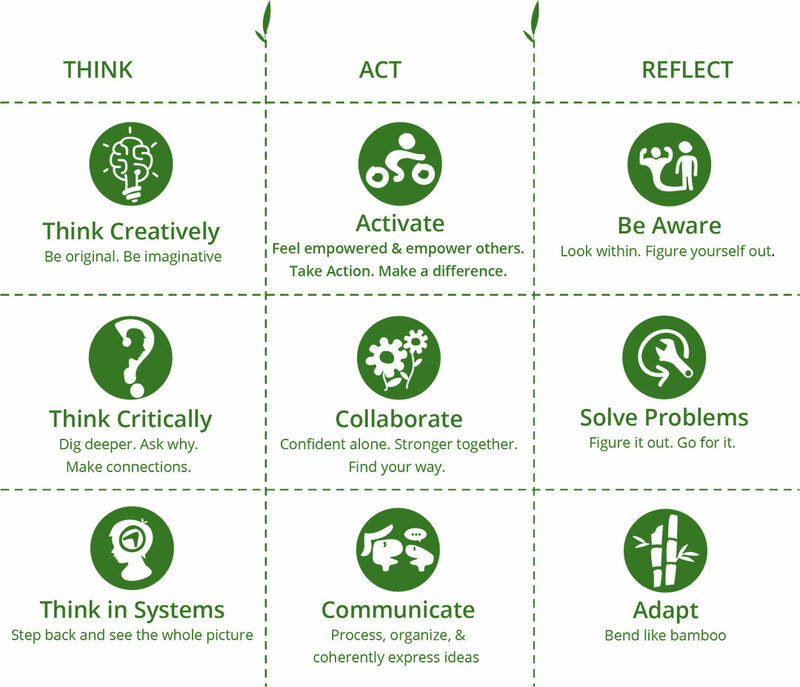 Seeing children learning by doing, hearing deep and meaningful student discussions, experiencing daily growth as a whole person and feeling the joy of being part of a vibrant community of learners is the Green School experience. Welcome to your first glimpse of Green School. From wherever you are in the world, I invite you to explore what Green School offers to students, their families, the community and the world. Take a little time to look at all that we are able to share with you here. Reach out to us to find out more and allow us to share with you, the Green School experience. We educate for sustainability, through community-integrated, entrepreneurial learning, in a wall-less, natural environment. 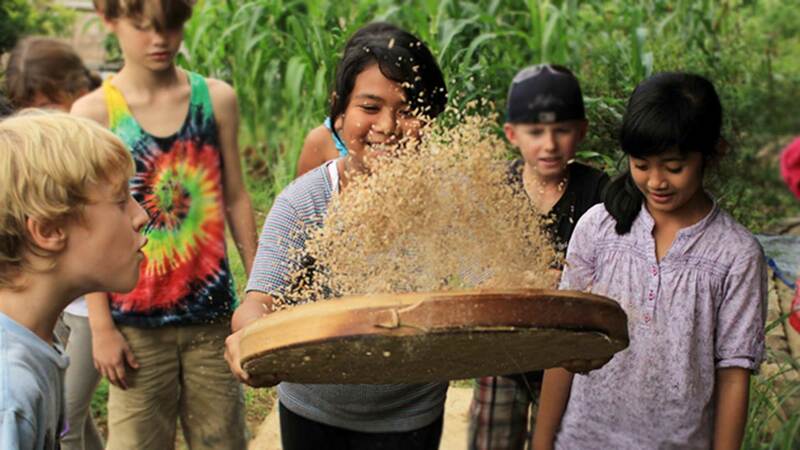 Our holistic, student-guided approach inspires and empowers us to be changemakers. Green School was conceived by its founders, John and Cynthia Hardy in 2006, following their exit from their jewelry business. After years of homeschooling, the Hardys wanted their daughters to attend a ‘real’ school. John wanted the girls to attend a school that he believed in, a school that he would want to attend, and he wanted to stay in Bali. When he read Alan Wagstaff’s “Three Springs”, he was so inspired by the dream that he wanted to build it in Bali. Then one day in 2006, John and Cynthia saw Al Gore’s ‘Inconvenient Truth’ and it changed their life. They were compelled to take up his call to action. The School’s bamboo bridge, spanning 22 meters across the Ayung River, was completed in November 2006, creating a beautiful, strong symbol of the transition from the realm of idea to reality. Green School opened in September 2008 with 90 students and a tailor-made campus that emerged from the jungle and rice fields. Since then it has grown to 400 students and to an inspiring example of education for sustainability. John Hardy, a Canadian art student who was as creative as he was intuitive, made his way to Bali in 1975. Intrigued by the Balinese craft traditions, he settled there and began producing jewellery with local artisans. Cynthia, an American who would years later become his wife and business partner, arrived in Bali in 1982, as a stopover on a round-the-world trip while she was considering attending law school at Berkeley. Cynthia stayed in Bali and started a small jewellery business of her own, which, owing to her talents in analysis and logistics, became successful in its own right. This right-brain, left-brain pair was destined for one another, and in 1989, their professional collaboration turned out to be magical. One of the keys to their success is that they have done well by doing good. 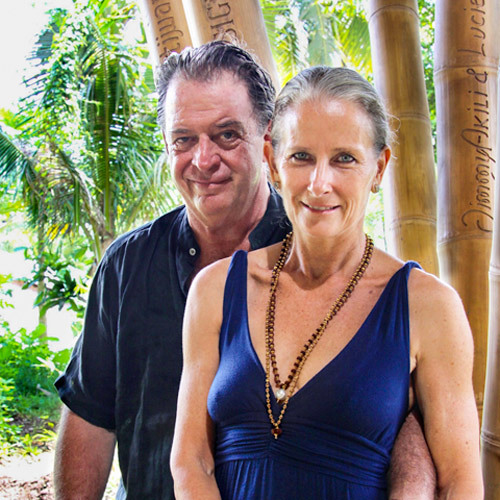 From the beginning, John and Cynthia’s approach to business was about making jewellery while being respectful to Bali’s land, its environment, its people and its culture. It became their mission to share with others the educational benefits that they were fortunate enough to provide their children, and Green School is the realization of that vision. Green School operates in Bali under Yayasan Kul-Kul, a non-profit foundation registered in Indonesia. Its three-level governance structure is based on the Indonesian legal requirements. The Trustees are the Yayasan’s highest decision making authority, and are guardians of the mission and values of the School. Their role is strategic in nature, not operational. They approve the members of the Board of Management, the hiring of key personnel, the School’s Strategic Plan, the annual plan and the budget. The Board of Management is the cross-stakeholder body that governs the School operationally to provide Green School’s holistic education experience, and implement its strategic plan. It has the appropriate executive authority and responsibility to make the required decisions, with representation from all parts of the community of learners.